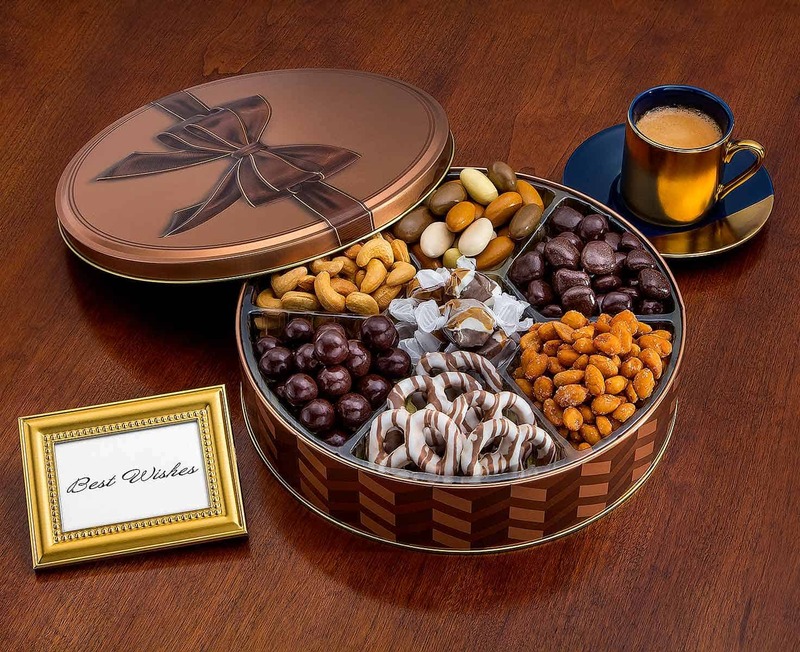 The perfect anytime gift. 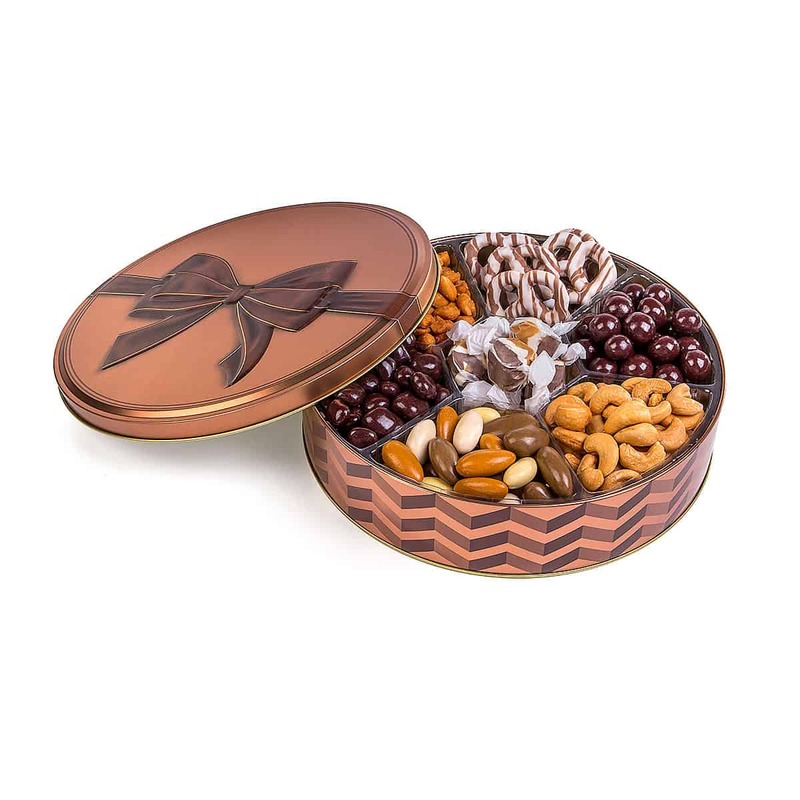 This versatile tin keepsake is topped with a two dimensional bow and makes an instant present. No wrapping paper needed! Under the lid you’ll find seven sections of yummy treats. Including; outstanding chocolate-covered cinnamon pretzels, candied Jordan almonds, roasted cashews, honey peanuts, mint lentils, chocolate covered cranberries and of s’mores salt water taffy! All items are individually bagged for freshness.